Pack of 3 in BLACK; Suitable for the place with hanging bar under 2.5" and back support. Each measures 8" top dia. x 6" bottom dia. 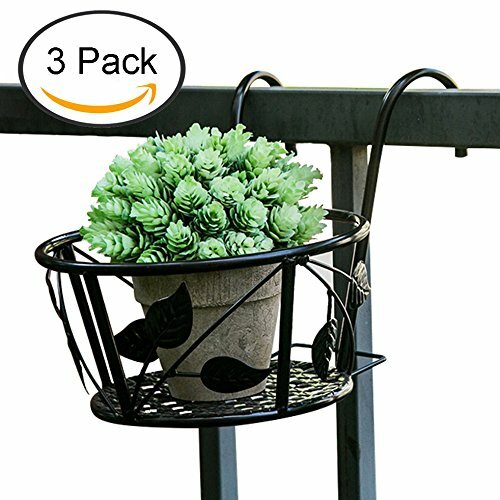 x 4.5" height; Hook openning measures 2.5"
Hanging plant stand adds a decorative touch, and creates a sturdy support for your potted plants. The sturdy steel construction will last for years, and the color will enhance your plants. Elegant and artistic touch - Great for your patio, porch, balcony, garden and more.